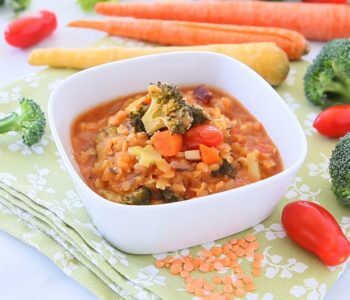 Sweet potatoes are a lovely food idea for babies/toddlers and kids. 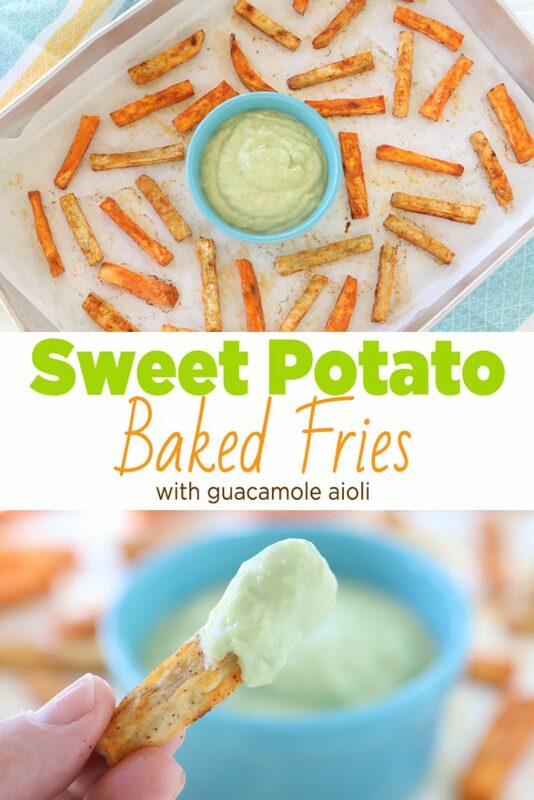 From a nutritional point of view sweet potatoes are a very good source of Vitamin A + C, Potassium and Iron!! 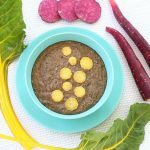 As they are also packed with fibers they are a very natural help for constipation or simply an aid to regulate bowl movements. 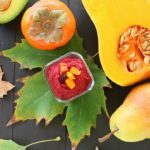 You can start offering sweet potatoes purees to your baby starting from 6 months of age and keep going offering them while they grow. 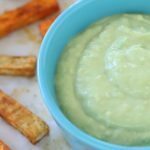 This recipe is perfect for a toddler or if you are following a baby led weaning approach: the potato sticks are soooo easy to be handled by little hands!! 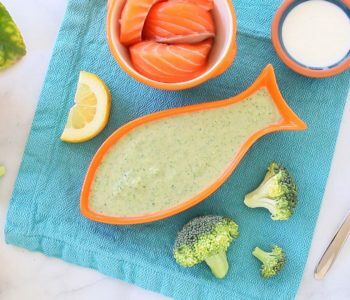 Also, the guac aioli sauce is simply to die for…I had to make two batches as me and my hubby almost finished one by ourselves 🙂 that’s the meaning of family meal: everyone enjoys the same food!! 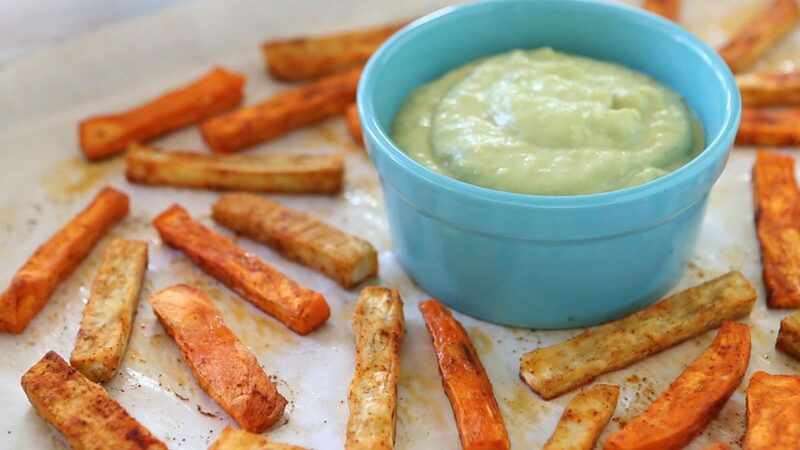 The sweet potato chips + guac aioli can be a complete meal for your toddler as we have all the nutrients in one plate or they can be a yummy side dish for mommy&daddy!! I would suggest to roast the potato chips and enjoy them right away. This is a case when leftovers are not as good as the fresh dish 🙂 The potato chips will be nice and crispy right out from the oven but with time (well, like the regular fries too..) they will get soggy and soft. 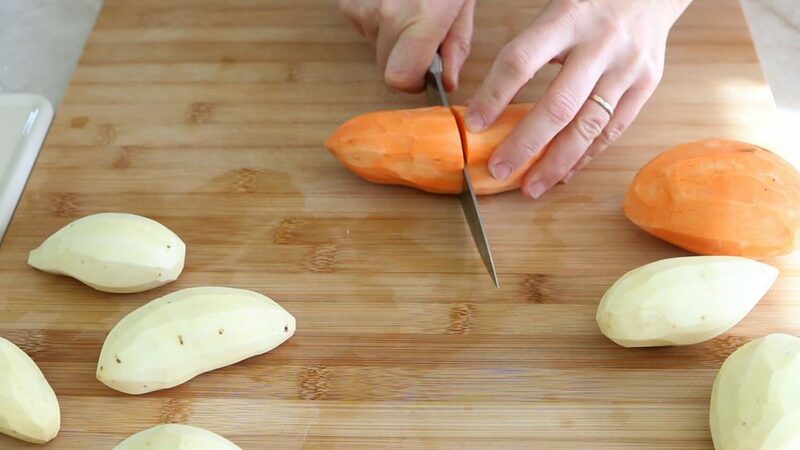 To give more color I chose two varieties of sweet potatoes: traditional orange ones and white Japanese or Murasaki ones. 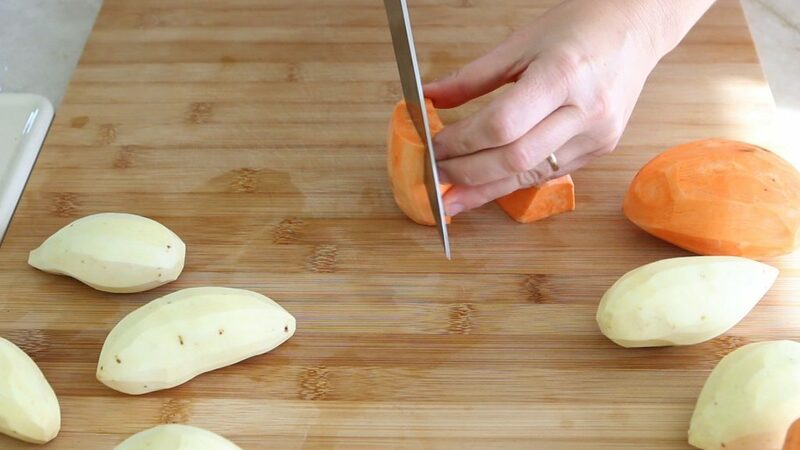 Simply peel the potatoes and cut them in sticks, more or less of the same size (so that they will cook evenly!!). Preheat your oven to 400 degrees, toss the potato sticks in a bowl altogether with the oil + apple cider vinegar + paprika + salt (optional) and mix well. I added the apple sider vinegar to balance the potato sweetness and the paprika to give an extra touch of flavor. 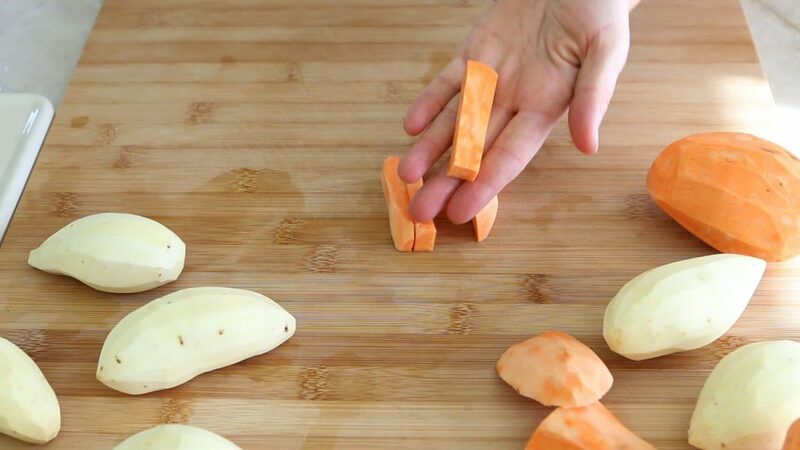 Spread out the fries in a single layer onto a baking sheet that is lined with parchment paper. 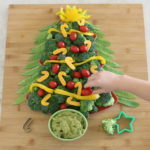 You might need two trays to do this evenly. It is very important that the potato sticks will not touch each other to get crispy on each side. 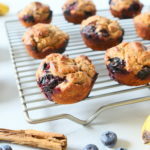 Bake for 30 minutes or until brown and crisp, flip one or two times for a nice and crisp result. 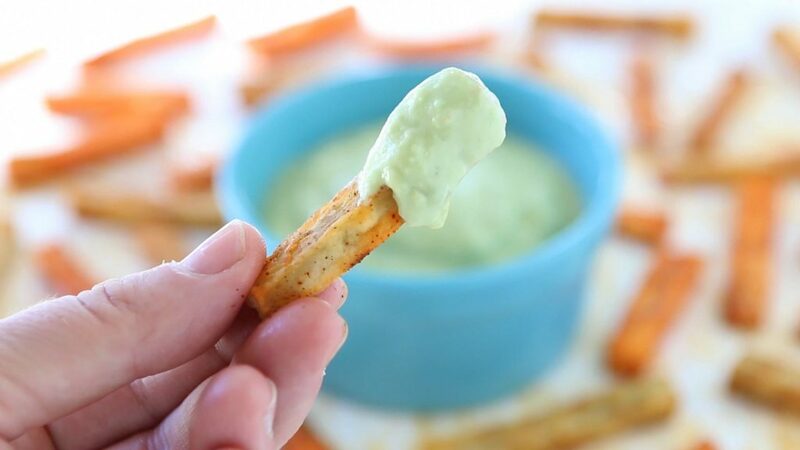 The avocado aioli is such a simple and addictive dip: while roasting the potatoes throw in few garlic cloves. 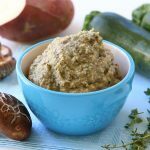 Yes, for the dip you can use fresh garlic but the roasted one is really at another level: creamy, not too strong, intense…simply better!! 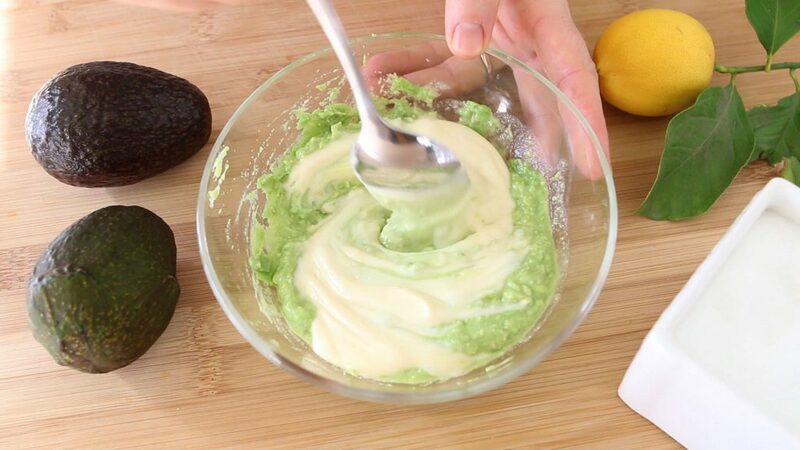 In a small bowl combine the ingredients: mashed garlic + avocado + lemon + vegan mayo + pinch of salt (you can use regular one but I’m allergic to eggs and I really really wanted to try it!!). Simply mix the ingredients. 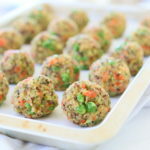 You can also use a food processor and pulse until smooth and creamy. 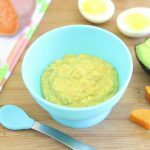 For the best dip the avocado needs to be ripen and creamy!! 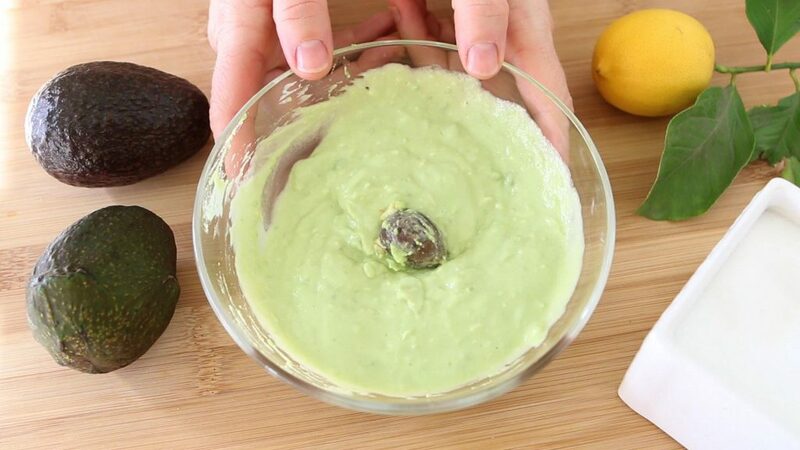 Also, did you know the trick to keep the avocado pit in the dip to prevent the oxidation (the dip to get dark brownish)??? Don’t ask me the scientific reason..but it works!! 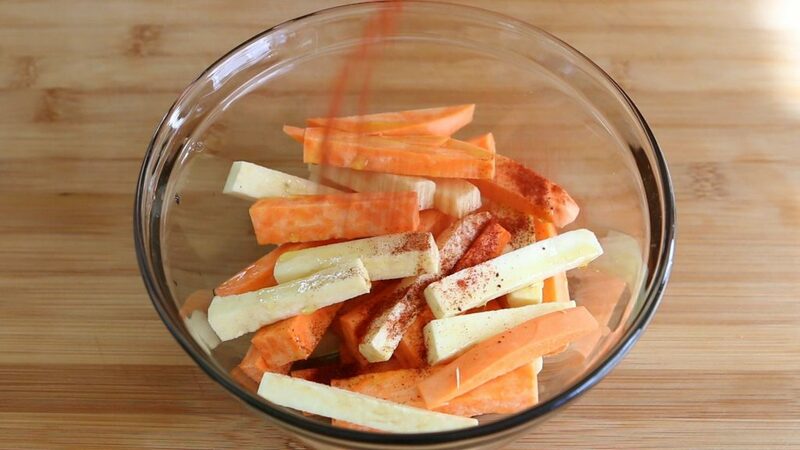 Place the potato sticks in a bowl and add the olive oil, vinegar, paprika, and pinch of salt. 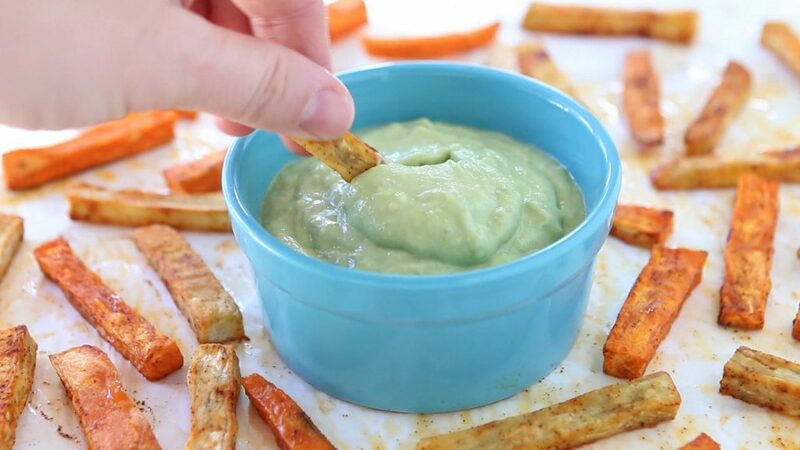 Skip the salt if you are serving the baked fries to a baby under 12 months. Toss well. 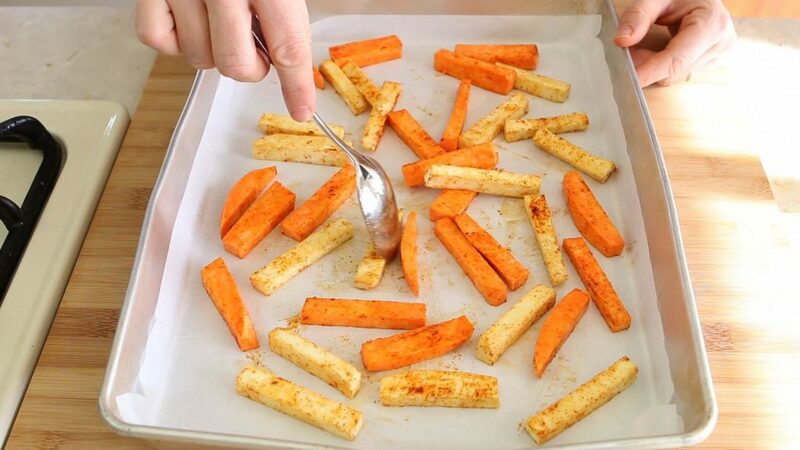 Spread out the fries in a single layer onto a baking sheet lined with parchment paper. 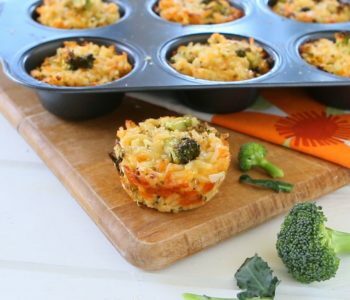 Bake for 30 min or until golden brown, flip few times for a crispy result on all sides. 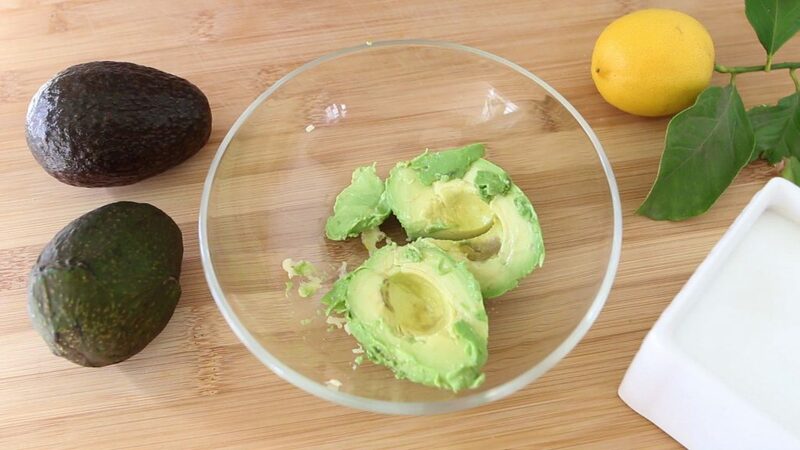 Combine in a bowl all the ingredients: avocado, roasted garlic, mayo, lemon juice, pinch of salt. Mix well. 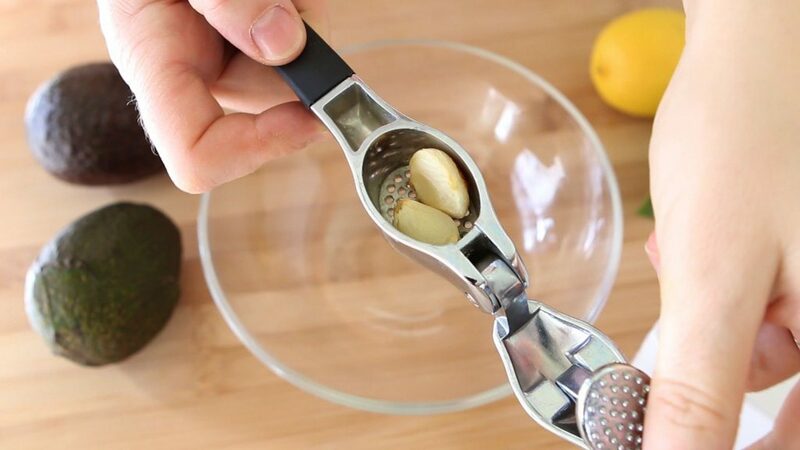 To obtain a very smooth consistency you can use a food processor.